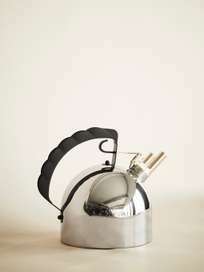 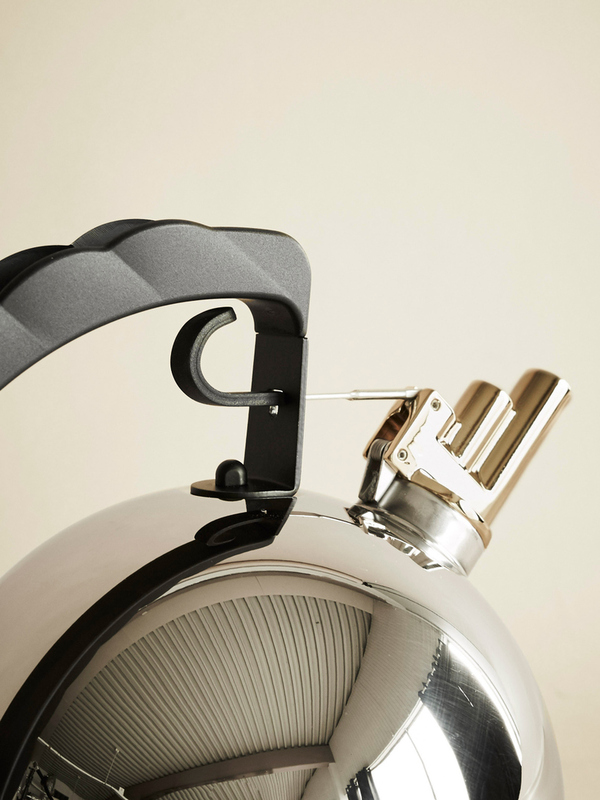 Made of stainless steel, the 9091 kettle has a melodic whistle made of brass in a shape that has never been seen before. Richard Sapper created this kettle inspired by a childhood remembrance, the poetic sound of boats' sirens at River Rhine: this is because the melody that accompanies the vapour outlet must be pleasant and not anxious like the whistle of boilers. 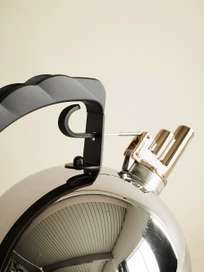 stainless steel, mirror polished, whistle in brass and handle in plastic, magnetic steel heat diffusing bottom.